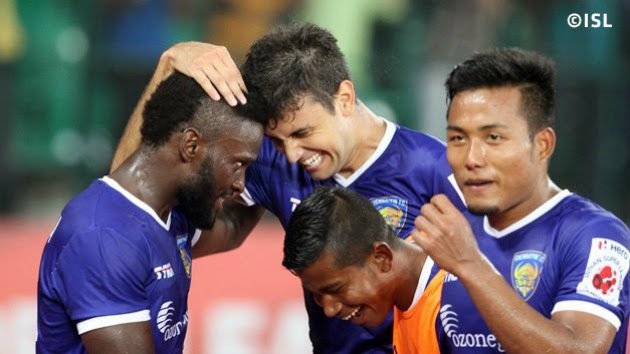 The ISL finally saw new league leaders as a late flourish helped Chennaiyin FC beat FC Pune City 3-1 in Chennai to go top of the table. Livewire winger John Stiven Mendoza gave the hosts the lead before a Djemba-Djemba own goal saw Pune equalise. However, straight from the restart, Bruno Pelissari made it 2-1, and Jeje Lalpekhlua's 93rd-minute goal saw the South Indian side replace Atlético de Kolkata at the summit.